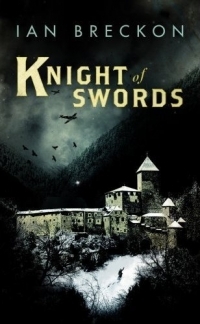 Brookes, a British army captain, awakes after being wounded in the mountains of Italy to find himself a guest of the baron of Castelmantia in his remote castle. He can remember the ambush by Mussolini’s fascists, the panic of the rebels, the bloodshed, and being struck by a bullet. And there are other things too… things he’d rather not remember. Instead, he turns his attention to the castle and its strange inhabitants, a family of four – a couple, their daughter and young son – who both intrigue and repel him. As winter locks them into the castle and the conflict escalates beyond their walls, Brookes finds himself drawn into the mystery at the heart of the family, determined to understand the game they seem to be playing. Who are they really? Why do they live alone in that bleak, decaying place? What do they want from him? And what should he make of their nightly ritual where they show themselves by lamplight at the window? It’s almost as if they were prisoners there… But then Brookes is not quite what he seems either, and his intrusion into the family’s lonely existence will have explosive results, leaving an unforgettable imprint on each of them. A story of multiple deceptions and concealed identities that unfolds like a pack of cards . . . A space filled with intrigue and potential danger, with hints of Kafka or Mervyn Peake. Mysterious, beguiling, playful, yet making perfect sense. An exciting and lyrical new voice in fiction. Breckon's work is thought provoking and intelligent. He is one to watch. The sense of unreality in the castle is skillfully juxtaposed against the reality of war and the confused and vicious conflict between Italy's fascists and communists. An ambitious and accomplished historical novel.